Back in 2011, Tanya and I both lived in the Inland Empire and it was not always easy to travel to LA just for ramen. Then we found a little gem, the Shogun Restaurant in La Verne, that served a nice bowl of ramen. You can view the old blog post here. I recently found my way back to Shogun Restaurant with some friends after a church gig. And to my surprise, ramen was back on their menu! I ordered it of course, but unfortunately, it was not the same. I ordered the Tonkotsu Ramen and asked if I could have a hard boiled egg with it. I immediately saw a red flag when the server had no idea what I was talking about and said he never heard of hard boiled egg in ramen. When I got my bowl of ramen, it looked like egg drop soup. Overall, the ramen was okay. The noodles were too soggy by the time I got them, the broth was a bit bland, but the chashu was descent. The egg was just something else, I’m not even gonna go there. LOL! I just don’t think this place understood ramen the way they used to five years ago and it’s too bad. We used to love this place! I would not recommend it to my Inland Empire friends if they’re looking to try ramen. However, this place is known for their teppan and sushi and I hear they’re pretty good. I hate writing bad reviews, but I just can’t recommend this place for ramen. 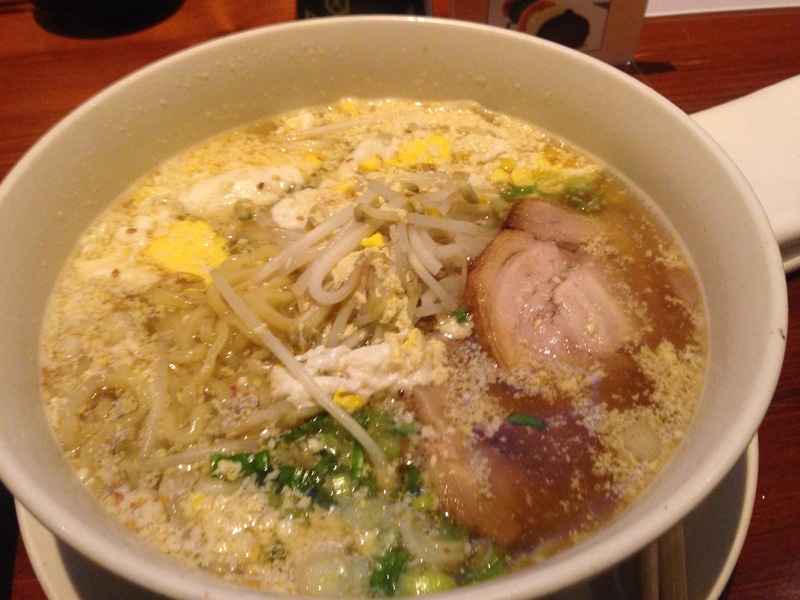 This entry was posted in Inland Empire, Ramen, Ramen Run, Restaurant Review, Tonkotsu. Bookmark the permalink.